Entrepreneurs, when starting a new company, do whatever you can to not follow the blueprint that OnePlus has laid out publicly in front of us all. Don’t over-promise and under never-deliver. Don’t neglect, question, and ban your early adopters for pointing out your mistakes, which may include serious quality control issues. Don’t introduce your product through the ultimate in gimmicky distribution and sales methods. Don’t hold contests asking for customers to destroy things, especially when those perfectly good products could benefit thousands across the globe. Finally, DON’T DEGRADE WOMEN. EVER. In the latest OnePlus disaster, OnePlus is holding a contest called “Ladies First.” In the contest rules, OnePlus claims that “chivalry is not dead,” so they are giving “the lovely ladies of OnePlus” a chance to skip the invite line, introduce themselves to the world by posting pictures of themselves with the OnePlus logo, and then watch as the world votes in a popularity contest made up of their pictures. Such thoughtful gentlemen. Forget the fact that the “lovely ladies of OnePlus” are granting OnePlus “a perpetual, irrevocable, royalty-free, worldwide, nonexclusive license to publish, reproduce, display, perform, distribute, adapt, edit, modify, translate, create derivative works based upon, and otherwise use and sublicense your photograph,” it’s the last line of contest rules that takes everything over the top. Because, you know, all of the “lovely ladies of OnePlus” are so ready to rip their clothes off for a chance to walk away with an invite to buy a new smartphone that they need to be reminded not to. And of course, the entire contest thread is filled up with half-naked Photoshopped pictures of women, sexist remarks, dirtbags, and has now run over 40 pages. OnePlus is completely oblivious to the shitstorm they have created, but that shouldn’t surprise any of us at this point. Good phone or not, this company is filled with a bunch of idiots. Here is a screenshot, because I’m sure they will apologize and edit everything out of this intro post. Edit: Yep, they deleted the contest. 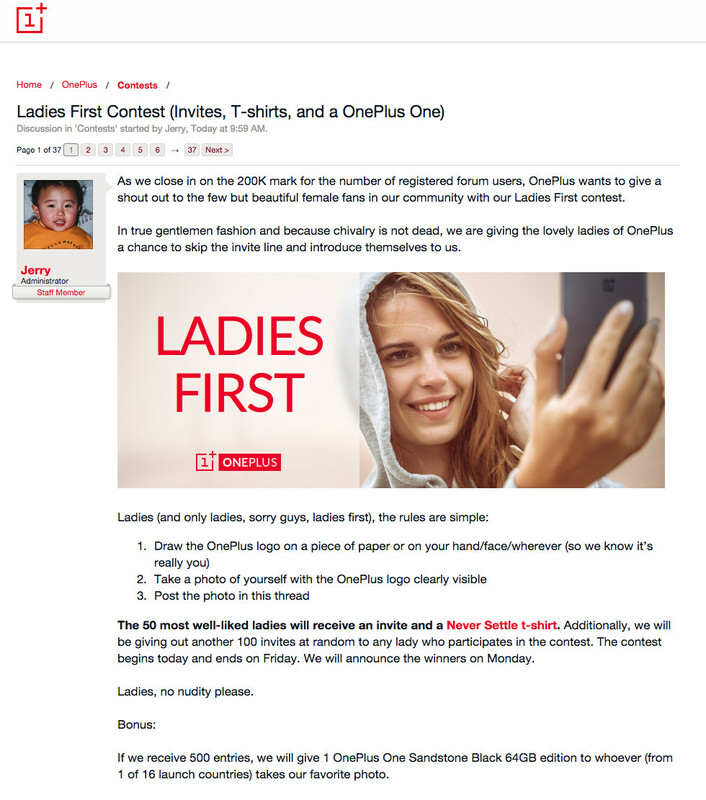 Update: OnePlus has completed deleted the “Ladies First” contest from their forums. That should surprise no one. On a related note, Cyanogen voiced their displeasure over the contest. Who knows if it had anything to do with the takedown. 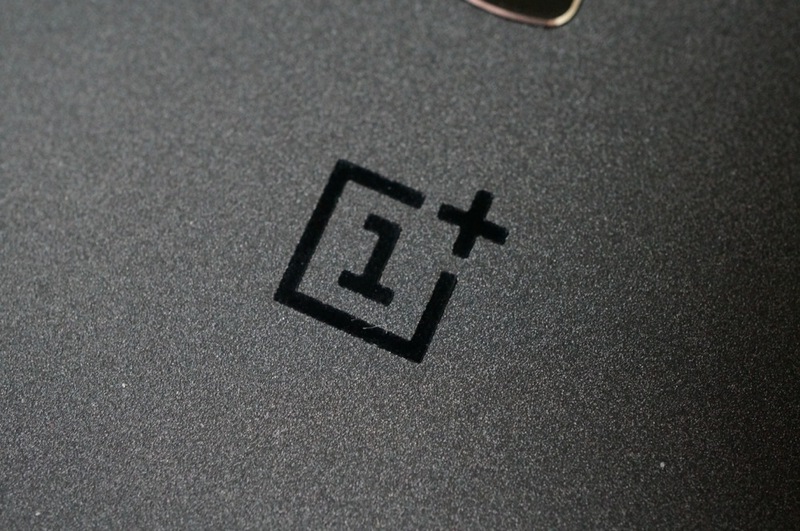 Update 2: OnePlus issued a statement to Engadget, saying that the contest was a “misguided effort” by a few isolated employees. Yep, they went with the rogue employee excuse. They do regret any offense caused, though. OnePlus is thrilled to have a small but growing number of women active in our online community. We want to encourage even more women to get involved with and excited about the amazing things happening in tech right now. The ‘Ladies First’ contest was a very misguided effort by a few isolated employees to do just that, however there is no question the post not only failed to better include our female community but actually perpetuated a stereotype that OnePlus in no way supports or condones. We deeply regret any offense caused by this contest.